I couldn’t think of anything to write which meant that I needed serious help from some Phriends of Phan. I asked my beloved Twitter phollowers to ask me some questions for the first ever installment of “PHAN MAIL!” They actually did and I broke out the beer to answer these hard-hitting questions. If you are a reader of this website (obviously), then you know that I swore I’d never mention He Who Shall Not Be Named again. Like everybody, I was way too excited for Bye Bum to play for the Sixers. So, I’m going to pick the flaming bag of turds. They can just sit in the key and not move the entire game. No one would want to step on it for fear of catching on fire or ruining their shoes. Smothering defense! That’s more than #33 ever did. First of all, he’s a Phillie. He’s good at what he does. He also drops Ph-bombs more strategically than anyone on the planet. Mrs. Phan said he was “cute” once and she couldn’t care less about sports and/or athletes, so that should speak volumes about his adorableness. Tough question. 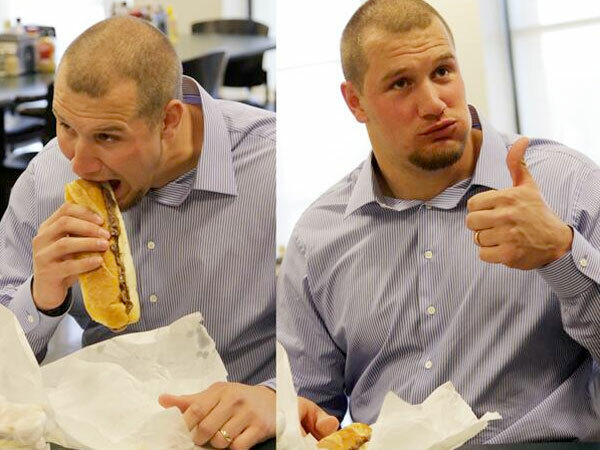 I’m going to say, Lane Johnson simply because offensive linemen get paid millions to eat as much as possible. Joe Blanton gets paid to have a sub 4.50 ERA and to not binge on fattening foods. Plus, I always thought that Joe is/was fat because he slept all the time and didn’t exercise, not necessarily from overeating. This is an excellent question. Throwing batteries is great because they are small, dense, and can inflict harm on it’s intended target. I was always a big phan of throwing the giveaways onto the field. At Dodgers Stadium, they once threw all of the baseballs that were given out onto the field. I remember that plastic “hand clappers” were thrown onto the ice at a Washington Capitals game. Mrs Phan and I were at a Phantoms game when people started throwing red rubber noses onto the ice after somebody scored a hat-trick. The circus was in town and yes it was hilarious. I’m going to say no. This is why. I couldn’t stand Matt Carle as everything is and was his fault (#MattCarlesFault). When he signed with Tampa Bay I was thrilled. However, the way the defense played most of the year, I actually almost missed him. So I’m going to say keep Coburn, because the same thing will happen with him. This is easy. Please beat up a Washington Nationals fan. Chances are, they aren’t a true fan of the team and they won’t put up much of a fight. They brought this upon themselves with all of that Natitude nonsense. I’ve thrown 4 D-cells all at once at Mark Grace’s head. They were inside my Cub Scout Lantern. 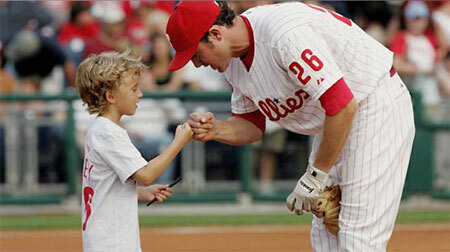 That bum stole a baseball out of my hands twice at a Phillies/Cubs game when I was about 10 and had front row seats. Never phorgive, never phorget! This entry was posted in Philly Sports and tagged 76ers, batteries, Bynum, Chase Utley, cheesesteak, Flyers, Joe Blanton, Lane Johnson, Mark Grace, Natitude, PhanMail, Phillies, poop, Sixers. Bookmark the permalink.